Acrylic mirror, stainless frame, argon and neon filled gas tubes, TTL control. Sculpture is set into corner of the room. 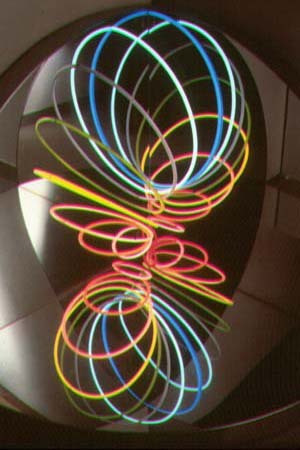 An observer can "play" this sculpture via small solid state interface.